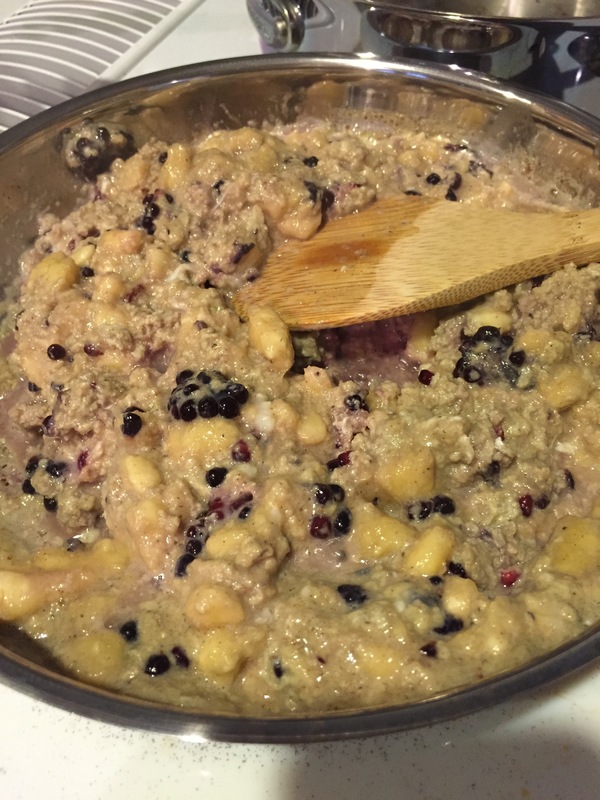 I have very fond memories of making maple brown sugar oatmeal growing up. I experimented with water in before or after microwaving, how much water and a skim milk topper before eating. It’s really comical now that I look back on it, but I LOVED that oatmeal. 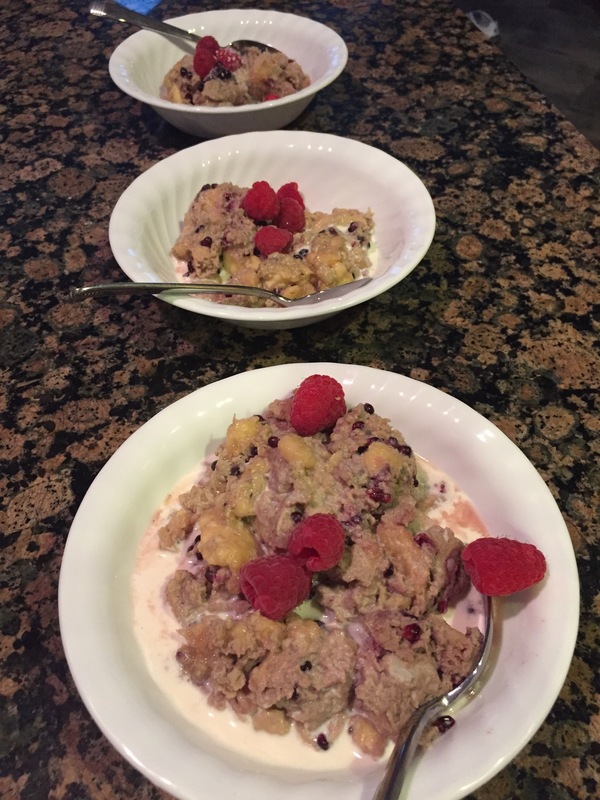 Going Paleo put a damper on my love affair with oatmeal, until the glorious day came that I happened on this recipe! What, could it be?? 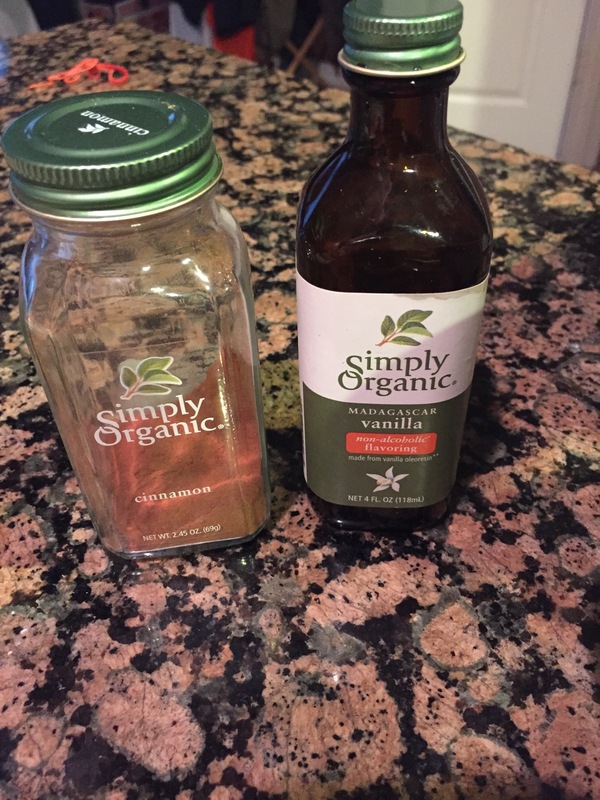 A tasty alternative that met the mouth feel requirements as well as the dietary ones. It was like the chupacabra! You’re welcome! This has now become our Sunday morning ritual. Change the quantities based on how many family members are home, or based on what ingredients you have on hand. I’ve had less bananas or less eggs and it’s still managed to work! Sidebar: enlisting your children makes the process that much easier on you and gets them in the kitchen! 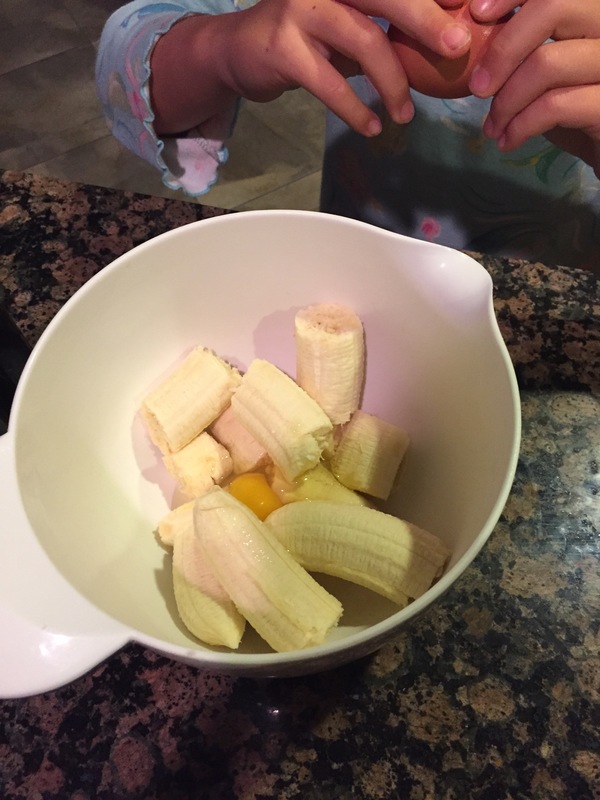 Peel and break 4 bananas into pieces and place in a medium bowl. Crack 8 eggs into the mixing bowl. 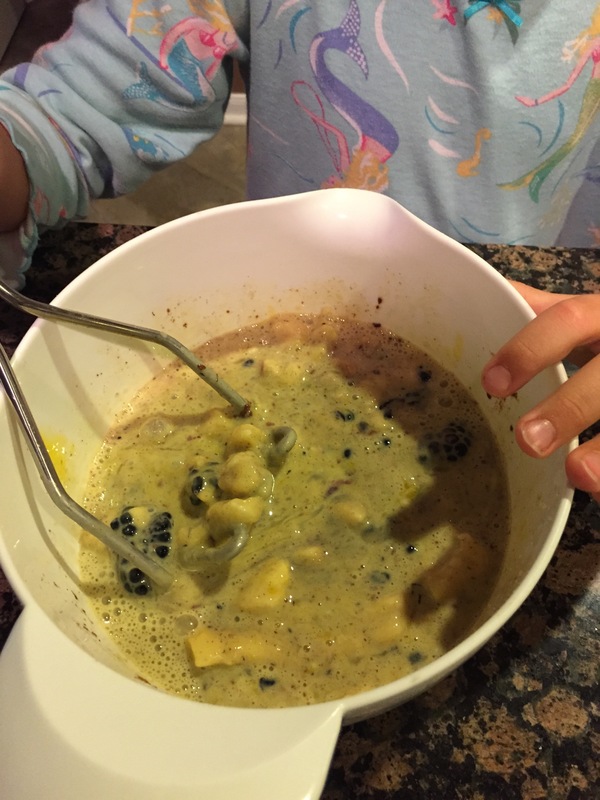 Add vanilla, cinnamon, coconut milk and 3/4 pint berries. Take a masher and mush it all together. 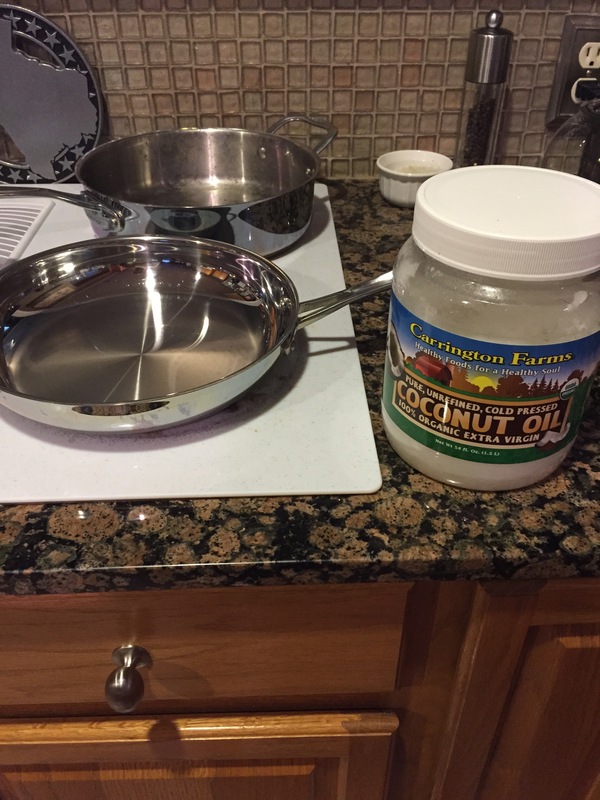 In a medium skillet, melt your cooking fat over medium high heat. Pour in the mixture. Keep stirring, often scraping the bottom of the skillet to ensure minimal sticking. In about 5-8 minutes, it will suddenly start thickening and looking like oatmeal. Cook until your desired consistency. Divvy out into bowls, being sure to give yourself the most. Add a splash of coconut milk and fresh berries to the top.